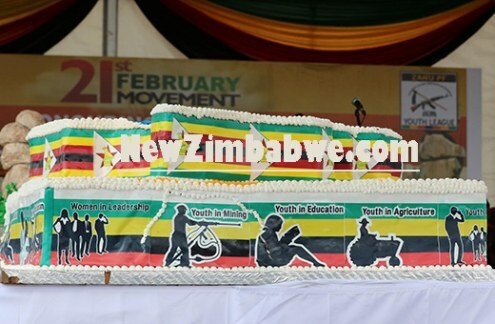 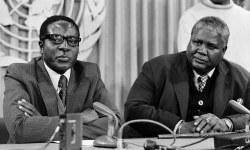 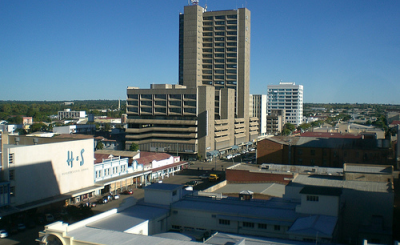 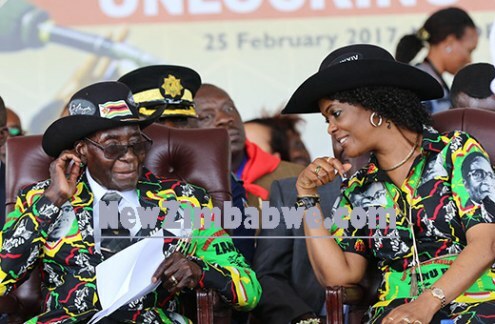 Wearing a multi-coloured suit emblazoned with his own image, President Robert Mugabe told the crowd at his lavish birthday party that he had no intention of stepping down. 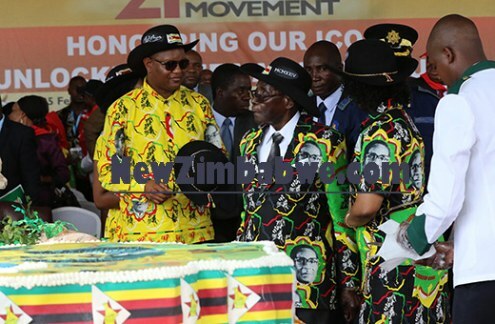 President Robert Mugabe with guests at his 93rd birthday celebrations. 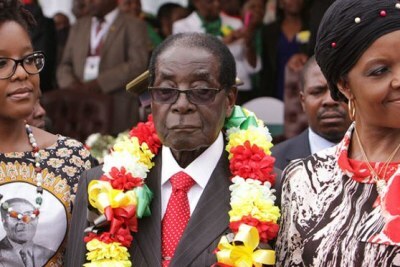 President Robert Mugabe with his wife Grace at his 93rd birthday celebrations.